Leading manufacturer of cable glands and cable cleats, CMP Products, has secured a major contract to supply cable restraining ‘cleats’ to the multi-million dollar Singapore Tunnel Project. Owned by Singapore Power Grid, (SPG) the project aims to future-proof the supply of electricity across Singapore for the next 120 years and will see approximately 130,000 bespoke cable cleats installed throughout several kilometres of underground tunnels. CMP developed the cable cleats specifically for the Singapore Tunnel Project; carefully designing them to safely restrain the substantial 230kV and 400kV cables as they wind through the renewed transmission network. 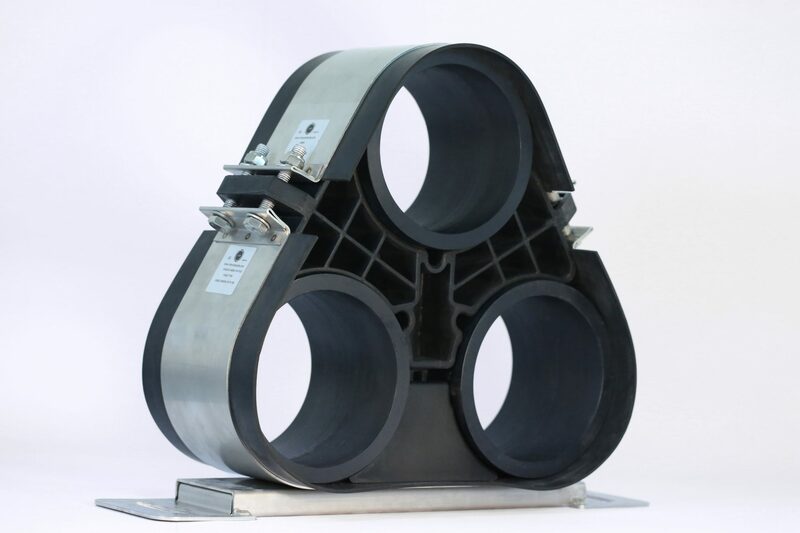 In order to achieve this world’s first design, the new cable cleats underwent stringent testing in the UK, Holland, Korea and then Singapore; and involved a 20-strong team of specialists from CMP in four different countries across the world. The development of the cleats was further enhanced through the use of Finite Element Analysis (FEA). This allowed CMP to model the stresses on cable cleats under short circuit situations, allowing the product development team to make accurate predictions as to how the products will perform when installed. All of this work was achieved in an incredibly short period of time, as CMP fought hard to demonstrate its state of the art capabilities and flexibility to meet stringent customer and safety requirements. The success in Singapore, adds to CMP’s growing market share in the design and manufacture of cable cleats, including those supplied to rail major projects in Doha, Dubai and Brisbane.